Air Conditioning service includes pick up from distributor deliver to job site remove old a/c and replace with new unit. In addition Kamaaina Crane will dispose of old unit at no additional cost All fluids must be evacuated from old unit. So as to make Kamaaina Crane a complete service for air conditioner contractors one call does it all. We also provide all you could be for Commercial Air Conditioner Removal and Replacement. 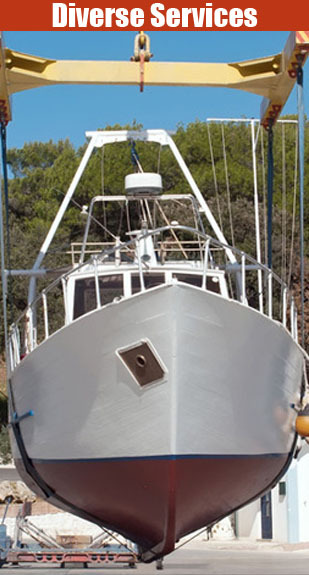 Marine and Boat Crane Industry consists of lifting boats out of or in to the water or on to boat trailer. Remove and replace engine and or keel if a sail boat last boat race was the zip lock yaught race held at turtle bay Hilton north shore Oahu. Aviation and Crane Service, Kamaaina Crane has been a vendor for the US coast guard the US Navy Army Air force and marines for 22 years now we remove and replace jet engines props for helicopters as needed. Building Houses Remodeling and Trusses are just some of our jobs over the years.we have set trusses for over 1000 new homes in Kapolei Eva Beach and Makakilo HI. Tree Service & Tree Removal and replacement last job performed was Waikiki Aquerium. We have successfully planted over 500 palm trees with a two year Warranty all lived not one died.